CD: Welcome back to Versailles and More, Elena, and thank you for kindly agreeing to discuss your book, Madame Royale, for our readers. The novel begins during Madame Royale’s exile in England. This works very well from a dramatic standpoint, and selfishly, I was delighted to see your book begin where and when mine ended. What made you choose this starting point, as opposed to, say, Thérèse’s captivity at the Temple as a teenager, or any other part of her all too eventful life? EMV: Thank you for the invitation, Catherine, and for the wonderful review of my novel. Yes, isn’t it a marvelous coincidence that Mistress of the Revolution ends where Madame Royale begins? Madame Royale opens in 1809, two years after the final scene of my first novel Trianon, when Thérèse is in exile in Courland in the Russian Empire. I thought the English exile interlude made for a calm before the storm of events which would soon overtake the Bourbons. 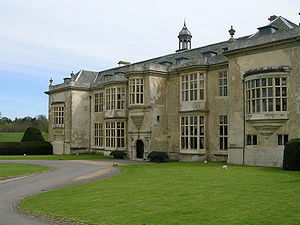 I loved the setting of Hartwell House as well; it placed the characters in surroundings with which many readers are already familiar from reading Jane Austen novels and Regency romances, and watching Masterpiece Theater. Also, I had touched upon Thérèse’s captivity in Trianon. Instead of physically bringing her back to that dark place, I have her revisit it only in her memory. 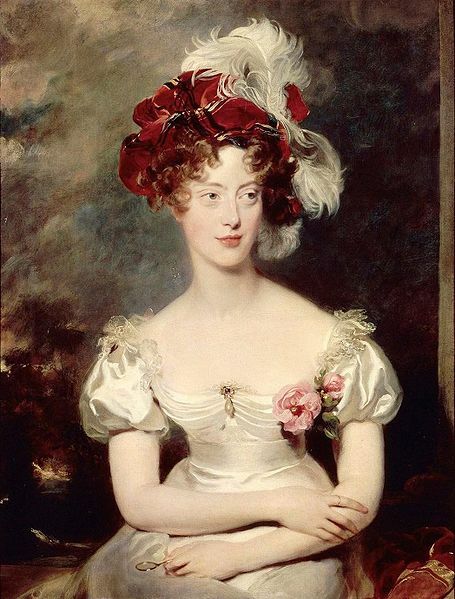 CD: Before reading your book, I had been puzzled by Madame Royale’s marriage to her cousin the Duc d’Angoulême. The political reasons behind this union are clear, but I found your exploration of his character, and her feelings, particularly insightful. The fact that the union was childless does not mean it was loveless. What is your personal take on this? EMV: It was a puzzling marriage, Catherine, in more ways than one. Until the recent biography of Thérèse by Professor Susan Nagel (Marie- Thérèse, Child of Terror, Bloomsbury USA, 2008) there was doubt among historians as to whether the marriage of Thérèse and her first cousin Antoine had ever even been consummated. Dr. Nagel told me in an interview that she had seen the medical records and letters which proved that the princess at one time thought she might be pregnant. That would have been around 1816 or 17, almost twenty years into the marriage. We can assume then that the union was indeed consummated at some point. However, Antoine has been described by some biographers as being “neurasthenic,” an obsolete medical term describing a combination of depression, anxiety, listlessness and hypochondria. It was also used to describe someone suffering from a nervous breakdown. Antoine was a kind man but probably not very passionate or romantic; he may have had trouble with impotence. Nevertheless, by the end of their lives the couple became quite devoted to each other, having been through so much adversity together. CD: We see Madame Royale yearning for the blessing of motherhood, but is not she in fact a true mother to her nephew (pretender to the throne under the name of Henri V) and his sister, Louise? EMV: Absolutely, Henri and Louise were her children. She left all of her worldly possessions to them in her will. CD: During the course of Madame Royale, we see the heroine searching for her long lost brother, the little Louis XVII. In particular she seems to pursue the trail of a young man by the name of Jean-Marie Hervagault. Could you tell us a bit more about the search by the historical Thérèse for her brother? What did she think of Hervagault and the other claimants? EMV: That is an excellent question, Catherine. 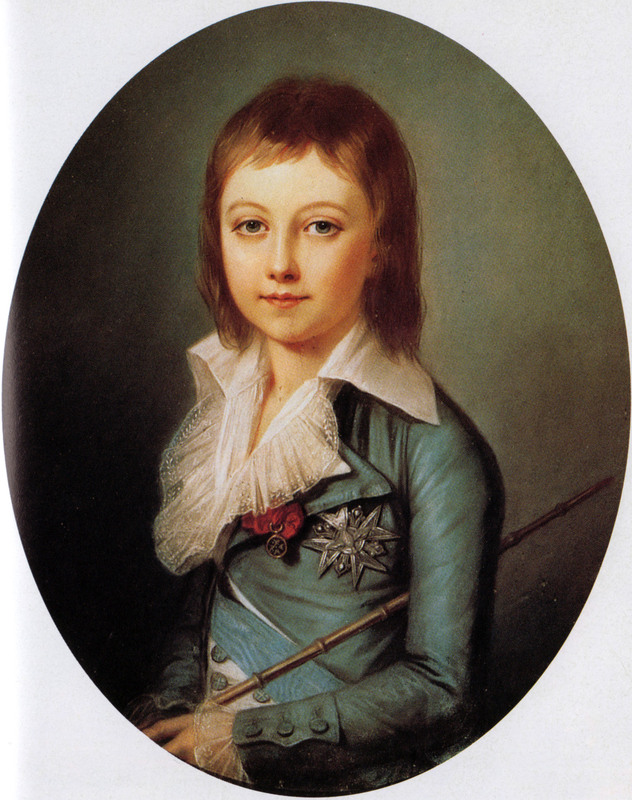 Everything I know about Thérèse’s search for Charles (Louis XVII) I put into the novel. I gathered the information from various sources, mentioned in the bibliography at the back of the book, including some rare documents which I procured through interlibrary loan and could not take from the library premises. Of course, those were the days before they could identify people from their DNA; Thérèse really had no way of knowing whether or not her brother had actually died. No remains had ever been proved conclusively to be his. He had allegedly died in the room beneath hers but she was not allowed to hold his hand while he was dying. Neither was she permitted to see his body after he had died. This led to the rumor that the boy who died was not the Dauphin, but that the real Dauphin had escaped and been replaced with another unfortunate child. 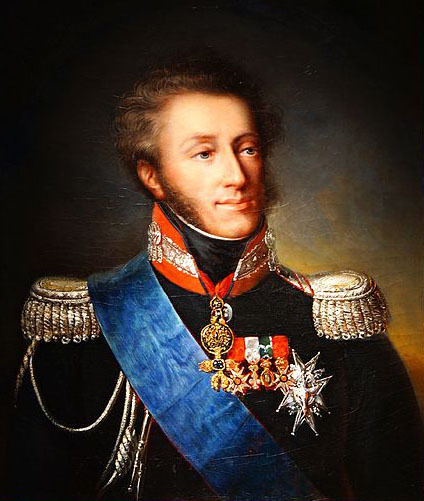 One biographer, Meade Minnigerode, states that as late as 1827, Thérèse went to visit the mother of the pretender Jean-Marie Hervagault, offering rare jewels, in exchange for information, I presume. And the incident described in the novel where Thérèse encounters the “young stranger” and screams at him to “go away” is a true one. I think we can safely say that her brother’s fate was on her mind and troubled her a great deal, although in the end she put her nephew Henri before any of the claimants. CD: And, after the DNA analysis of the heart of the child who died at the Temple has established that it was indeed the son of Marie-Antoinette, do you believe, with the benefits of hindsight and modern science, that the matter is settled? Were all the claimants impostors? EMV: The DNA analysis was not 100% conclusive. It only proved that whoever the dried up heart belonged to was the “child of a Habsburg princess.” With the Habsburgs being such a prolific family, how many princesses with Habsburg blood were there in Europe? How many had children who had died? Even the Bourbons had a great deal of Habsburg blood. How many unacknowledged illegitimate children were there? I think that we can be 99% certain that the heart belonged to Louis XVII but there is no way to be absolutely certain. Because of the inbreeding in royal families, it is difficult to prove who is who beyond all doubt with DNA, as the scientists with the blood of Louis XVI (found in a gourd) are discovering. Most (if not all) of the most famous claimants were imposters, of course. In this matter, however, I prefer to stay away from absolute statements since there are still some mysteries that need to be cleared up, in my opinion, anyway. CD: I was fascinated by the very ambiguous relationship, made of attraction and repulsion, between Madame Royale and her cousin Louis-Philippe d’Orléans, the man who would later dethrone her husband and her nephew to become King of the French. It makes complete sense, but I had never given it much thought before. How much of this is the result of your research, and how much the product of your personal reading of these two characters? EMV: Thank you, Catherine. It is a combination of both my research and my personal reading of the characters. 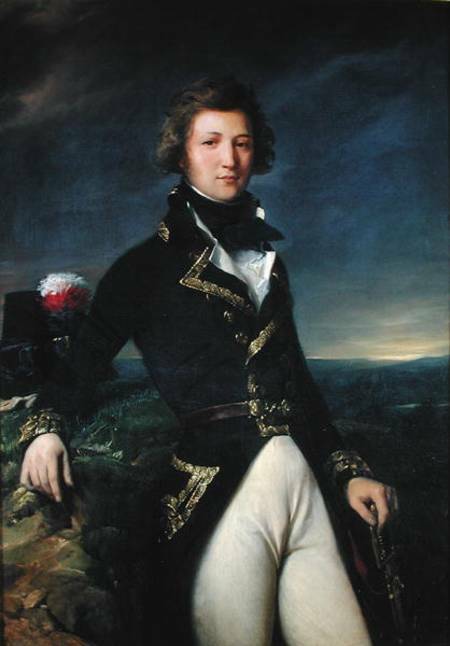 Louis-Philippe was quite dashing as a youth and I imagined how he would appear to a semi-cloistered young girl. It is recorded how as an adult Thérèse reacted to Louis-Philippe, by fainting at the sight of him, and later by walking arm-in-arm with him at Carleton House, conversing with their noses almost touching. It got me thinking about what may have been going on in Thérèse’s feelings…. CD: I rediscovered the character of the Duchesse de Berry, Madame Royale’s cousin and sister-in-law, with immense pleasure in your book. More of an adventuress than a princess… What a wonderful historical fiction heroine she would make in her own right. Were you, or are you tempted to write another novel about her? EMV: Yes, Catherine, Caroline of Naples steals the show as soon as she steps out of the carriage onto French soil. I loved writing about her and researching her. She would make a delightful heroine of a historical novel. She certainly saw herself as one. I have never considered writing a novel about her but I hope someone else does. Her romance with Hector Luchesi-Palli is true and one of my favorite parts of Madame Royale. CD: Now for a more general question, which may be of interest to those readers who have already discovered Madame Royale in its hardcover version, now ten years old. Did you feel it necessary to revise the original text for its recent release in paperback? EMV: Yes, I did, Catherine. I added dialog to some scenes and edited long speeches which hampered the flow of the narrative in others. Also, with the publication of Susan Nagel’s biography, there was new information which I wanted to work into the story, as well, including the addition of the Nagel book in the bibliography. I think the second edition of Madame Royale is a much better piece of literature than the first edition. It is available in paperback from Amazon. It is also on Amazon Kindle. CD: I must say I very much prefer when serious historical fiction, like non-fiction, includes a complete bibliography. Sadly my own novels don’t, but it is not my choice. What new projects occupy you at this time, Elena? EMV: Many! I am still researching and writing my novel about the Irish settlers in Ontario, among whom were my ancestors. Writing such a novel is a full time job in itself, especially when much of the information is locked away in archives not readily available on the internet. I also write magazine articles from time to time. I have a stack of novels waiting to be reviewed for my Tea at Trianon blog. If I could do nothing all day but read I would still have my plate full. Thank you, Catherine, for the great questions! CD: And my thanks to you, Elena, for sharing your insights on this often ignored era of French history!